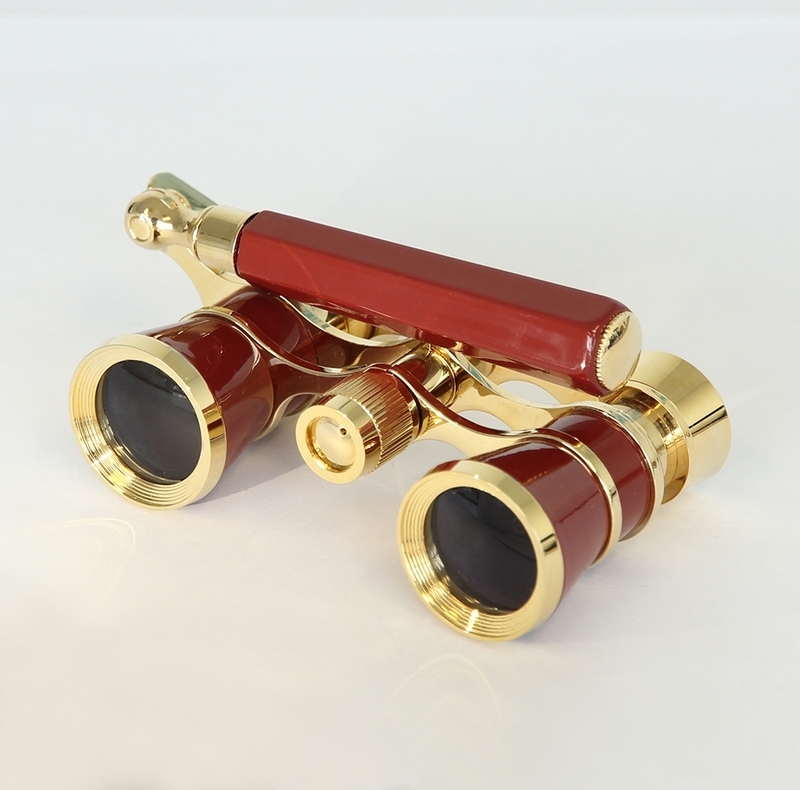 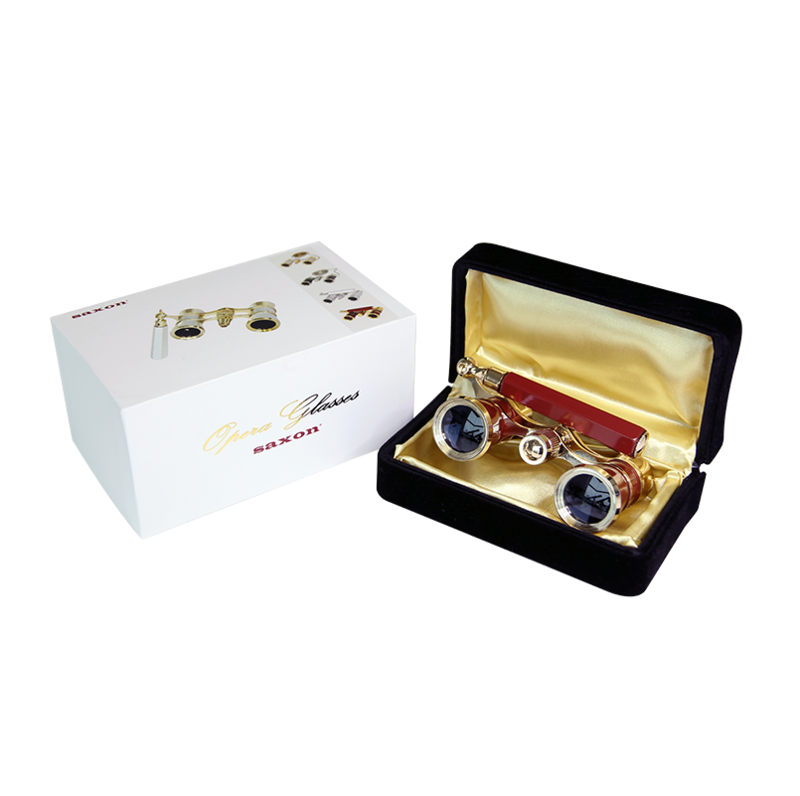 Enjoy the theatre in style with your compact saxon 3x25 Opera Glasses with Handle. 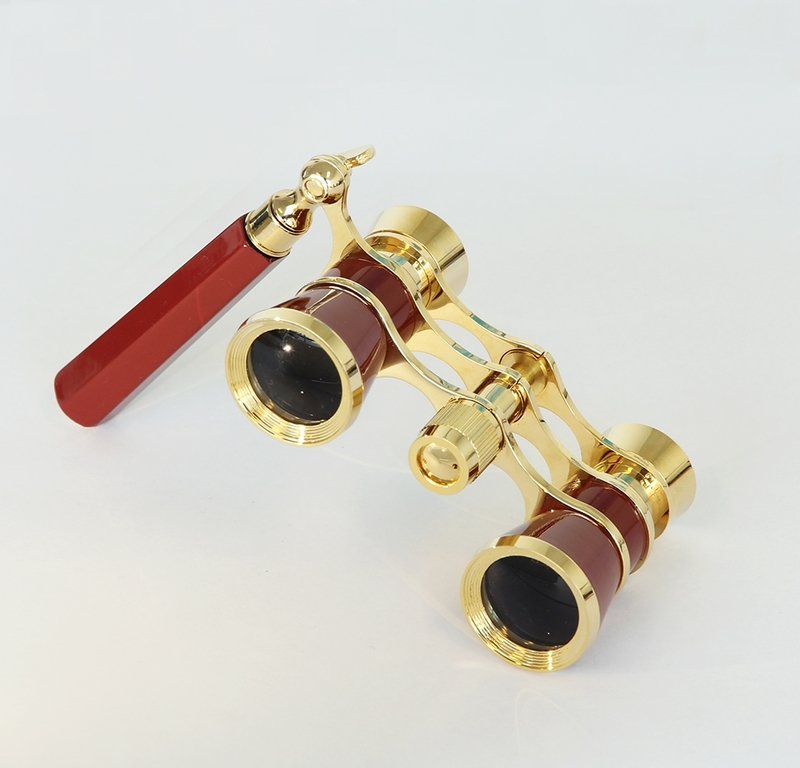 Housed in a burgundy red aluminium body with gold rims, this charming pair of glasses features a magnification of 3x and a central focusing mechanism for you to easily center your desired object in sight. 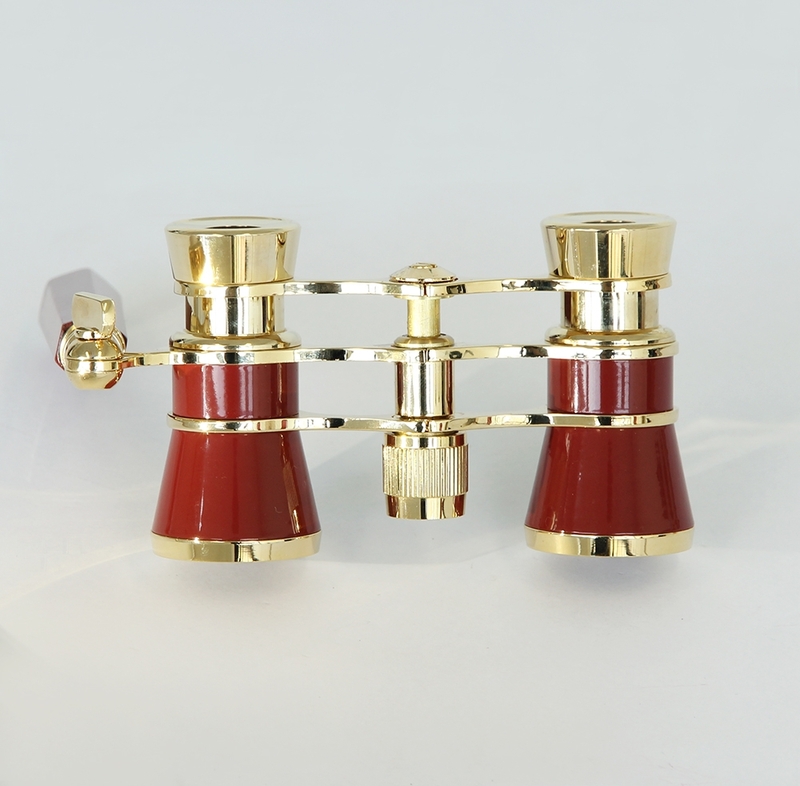 These saxon Opera Glasses with Handle also have an adjustable handle to help you get the best views of the show.